Reviews, rants, and maybe a little bit of nonsense. BRUSHING UP-10 Facts about The Demon King you may not know. In celebrating that THE DEMON KING’s long awaited sequel has been picked up by KnightWatch Press, I thought some of us could use a quick brushing up about our much loved and much hated king of the underworld…So, here you go. Ten whole factoids. 1. 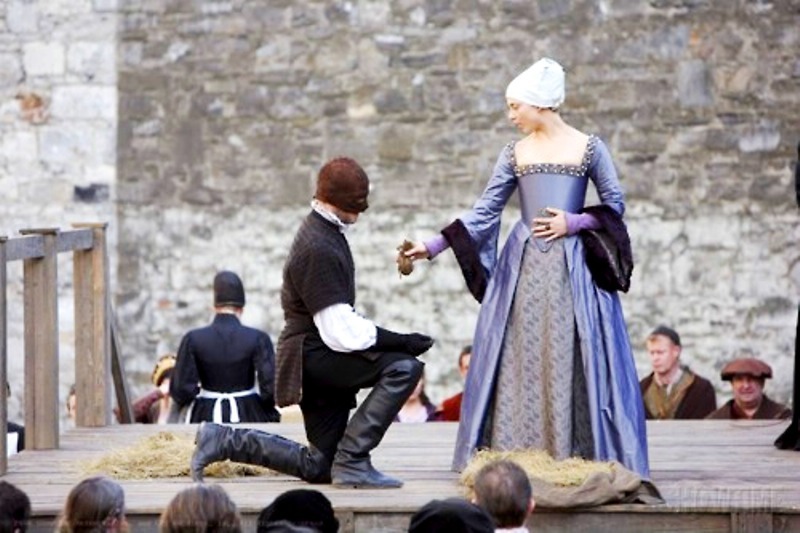 I was highly influenced by Jonathan Rheys Meyers portrayal of Henry VIII in The Tudors when I wrote The Demon King. 2. The first fact on this list will become quite evident in the sequel. Am I hinting? Maybe. But, it may not hint at what you think. 3. I wrote many, many scenes of the first book as a way to work out my own nightmares and fears. 4. The king’s birds will play a bigger role in the second book. 5. The Demon King was originally written with the intention of the story being an erotica novel. But, it took on a life of its own. 6. There will be new characters in the second book. 7. The second book still has no title. I’m working on that. I’m not good with titles. I could write ten books before I could come up with a decent title. I usually have help titling stories. 8. 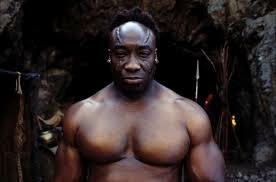 One of my favorite characters from the first book, Thrack, was modeled to look like Michael Clark Duncan (RIP, MCD). 9. A character from my Immortal books will make an appearance in The Demon King’s sequel. 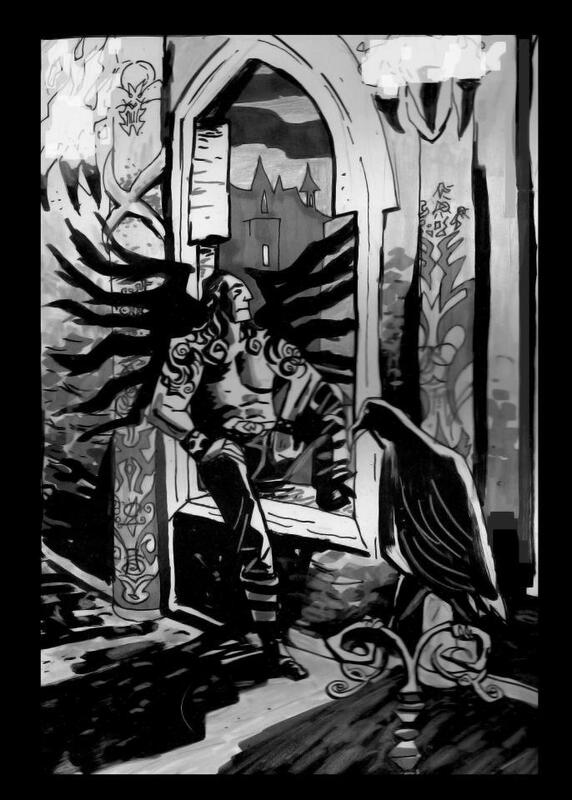 In the Immortal books, Lilleth was my bad guy. In The Demon King’s sequel, she’s just the girl next door. Though she’s the same person, she is perceived as quite evil in the mortal realm, but once you put her in the Underworld, where she’s known Draken his entire life, she’s nothing out of the ordinary. Well, maybe a little out of the ordinary. As a matter of fact, the king will be giving her quite the honorable title. I won’t tell you what that title is, though. Spoilers! 10. The second Demon King book will be longer than the first. Yup. You asked, I’m delivering. You’re welcome. I sat down to read this work of non-fiction from one of my favorite fiction authors in the hopes I’d be turned onto something I’d not ventured into yet. I was right, of course, as the work gives introductions to many, many crime authors, including Edgar Allan Poe, Mary Higgins Clark, and Ross Thomas. I have read a lot of books about books (and that’s what this is, isn’t it? ), but this one seems to stand out a little bit for me. Not because Lawrence Block chose to write about things he’s read or authors he has enjoyed, but because the book introduces its reader (that would be us) to authors or novels they haven’t gotten to yet or, perhaps, they haven’t heard of. In this day and age, there is a whole new generation of readers being brought up with e-readers tucked into their diapers from birth. When I was younger, you went to the library and searched feverishly through dusty old copies of novels a million other people had already had their sticky fingers all over and you hoped like hell there was something new there. If you were brave enough, you might go to an actual book shop and beg the sales staff to order the newest copy of whatever you were looking for. There is absolutely nothing wrong with either of these reading methods, but the e-reader generation is missing out on some seriously great literature, not because we’re running out, but because there are stories forgotten over time. For those more inclined toward crime fiction and mysteries, I think The Crime Of Our Lives works well to introduce younger audiences with books and stories the older generations have enjoyed already. I see this book as a reference to great things, a map to explore uncharted territory, or a trip down memory lane (depending on how well read you are in this particular genre). It gives readers the opportunity to skip the search, write down a title or ten that you’re interested in, and go find those old stories. And kudos for that, Mr. Block. I don’t know if this was the intention of the author, but it certainly serves the purpose well. Obviously the book has other merit, too, but I feel those merits are found by reading the book yourself. 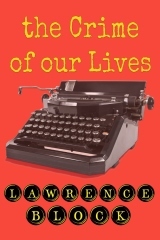 I would most definitely recommend reading The Crime Of Our Lives if you’re searching for crime fiction stories you haven’t read yet, if you enjoy non-fiction, if you like reading about books, or if you’re a Lawrence Block fan and absolutely have to have every single thing he’s ever written. I would also recommend this book to collectors looking for crime novels they may not have in their stock. And, of course, I would recommend this book to those searching to read something new. Lawrence Block has been writing award-winning mystery and suspense fiction for half a century. His most recent novels are THE BURGLAR WHO COUNTED THE SPOONS, featuring Bernie Rhodenbarr; HIT ME, featuring philatelist and assassin Keller; and A DROP OF THE HARD STUFF, featuring Matthew Scudder, brilliantly embodied by Liam Neeson in the new film, A WALK AMONG THE TOMBSTONES. Several of his other books have also been filmed, although not terribly well. He’s well known for his books for writers, including the classic TELLING LIES FOR FUN & PROFIT, and THE LIAR’S BIBLE. In addition to prose works, he has written episodic television (TILT!) and the Wong Kar-wai film, MY BLUEBERRY NIGHTS. He is a modest and humble fellow, although you would never guess as much from this biographical note.